CHAGRIN FALLS, OH--(Marketwire - January 16, 2008) - Local Strategic Marketing & Manufacturing Solutions Firm, Hilty Moore & Associates (HM&A), has announced the appointment of Mr. Erik Hanson to the position of Senior Project Manager of the Manufacturing Solutions Group, a new business group of HM&A. 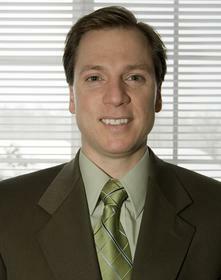 Mr. Hanson holds both a Bachelors of Science in Industrial Technology and an M.B.A. from Kent State University. He has a wide range of manufacturing experience at companies -- Parker Hannifin Corporation as the Business Unit Manager, Cooper Industries as Plant Superintendent, ERICO Products, Inc. as Manufacturing Manager and Swagelok Company as Manufacturing Engineering Supervisor. In addition, he is an Army Veteran of Operation Desert Storm. Mr. Hanson joins a team of professionals that provide dozens of business-to-business clients with customized market research, competitive intelligence, technical surveying, marketing programs and manufacturing solutions. As Senior Project Manager of the Manufacturing Solution Group, Mr. Hanson will provide clients with business performance and sustainability strategies that focus on enhancing health, safety and environmental issues, improving product quality, reducing costs, improving deliveries and better overall utilization of people for a more effective and efficient manufacturing process and workplace. Hilty Moore & Associates' Managing Partner, John Moore, comments, "Erik's high degree of training and experience in the manufacturing field make him a great asset to our firm's many industrial clients. By expanding our company's manufacturing solutions, HM&A is able to provide a broader array of solutions that will positively affect our clients' bottom line results. We're pleased to welcome Erik to our team." Mr. Hanson's broad experience includes project management specialist, communication and leadership development and OSHA compliance on industrial health and safety. Mr. Hanson achieved black belt status in Lean Six Sigma, certified by George Group Consulting. He also has certification by Humantech, Inc. in applied industrial ergonomics. Furthermore, he is a senior member of SME and also served his community as the Program Coordinator for the Optimist Club. Mr. Hanson and wife Heidi have two children that reside in Chagrin Falls, Ohio. He enjoys travel, hiking, fishing and antique tractor restoration. Mr. Hanson can be reached at erhanson@hiltymoore.com or by calling 440-543-1520 ext. 205. Hilty Moore & Associates, LLC, is a Chagrin Falls, Ohio-based strategic marketing firm serving business-to-business clients that market their products and services to a wide range of global industrial markets. In addition to providing competitive intelligence, customized market research and technical surveying, the firm offers a broad range of related services, including market segment forecasting designed to assist clients in the creation of their strategic industrial marketing plans. The firm also serves as project managers for clients who seek independent management of strategic marketing and manufacturing initiatives tied to their overall commercial objectives. A history of the firm, a description of services, leading markets covered, and a sampling of reports can be viewed at www.hiltymoore.com, or by contacting a principal of the firm at 440-543-1520 or info@hiltymoore.com.